Burrell Scott (left), an Oberlin contractor, served as the volunteer contractor for the project to rebuild the church in Ripley. 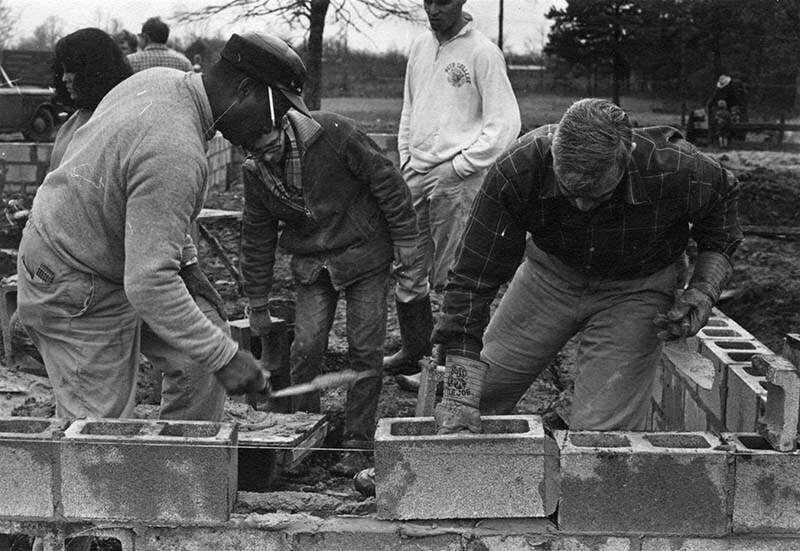 Private collection of Marcia Aronoff; digital surrogate in Photographs: Subjects (RG 32/5), Carpenters for Christmas, Oberlin College Archives. Marcia Aronoff; used with permission. 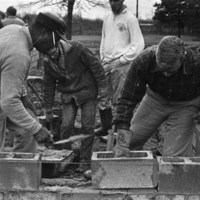 unknown photographer, “Burrell Scott and others mortaring the foundation,” The Oberlin Sanctuary Project, accessed April 24, 2019, http://sanctuary.oberlincollegelibrary.org/items/show/99.